Garage cabinets should be professionally designed to maximize the usable space in the garage environment. Moduline is the leading manufacturing company that manufactures high-quality garage, shop, and enclosed trailer aluminum cabinets. Moduline not only produces the high-quality cabinets, but also provides their customers with advice on the best decisions to consider when purchasing a cabinet system. They have customer service agents and catalogs to enhance the decision-making process for customers. Moduline’s trained experts also give guidance to customers and provide answers to clients’ queries. There is a broad range of cabinets available in the market today, which has made people settle for higher-quality ones because a cabinet purchase can be a long term goal for storage and organization. Garage cabinets should be specifically designed for the garage environment in such a way that they should be robust and durable. They should be built in a way that they can withstand heavy weights. The heavy-duty drawers/cabinets are more likely secure for storing bulky tools and equipment in the garage. A garage is a place where a lot of maintenance jobs on cars and vehicles is performed. It is very advisable for the garage cabinets to be against the wall in an organized system. Having cabinets that are organized and in place against a wall provides more space. At Moduline, we love to hear customers talk about their cars, homes, and trailers where they will place their cabinet systems. We have a variety of cabinet sizes, types, shapes, and colors available. 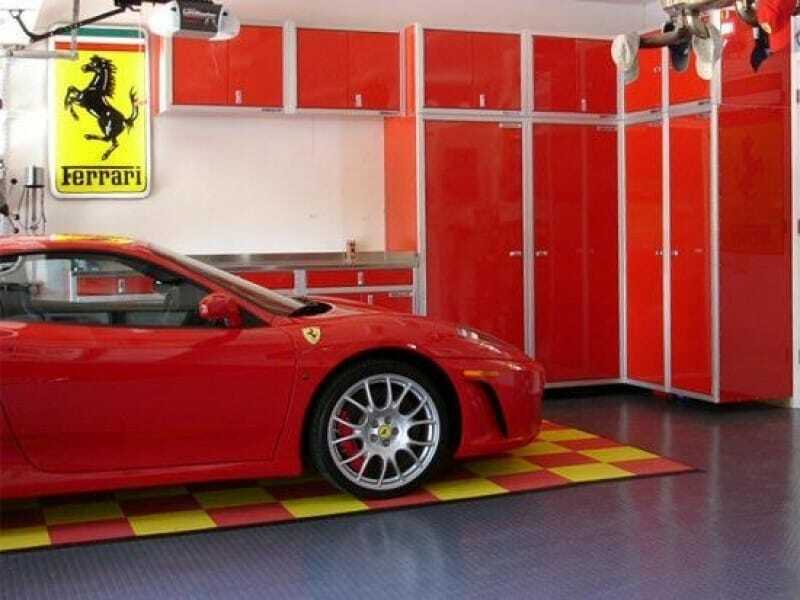 We know clients like to match the color of their car or their favorite sports team to their choice of cabinet colors. That’s why we offer many standard colors in our cabinet selection choices. Plus, our cabinet systems can fit in many spaces, including in the back of a vehicle or trailer. A big concern about many storage cabinets today is that they are bulky or heavy. They make transportation for the race and car industry difficult. Heavy cabinets in a trailer can be potentially dangerous on the roads, causing poor gas milage, and the inability to stop suddenly. Moduline solved that problem by creating cabinets that are lightweight, yet durable. Our cabinets for trailers are high quality and provide a light weight for ease of transport. Contact Moduline for a free design consultation or a catalog to help make the right decision for your storage needs.